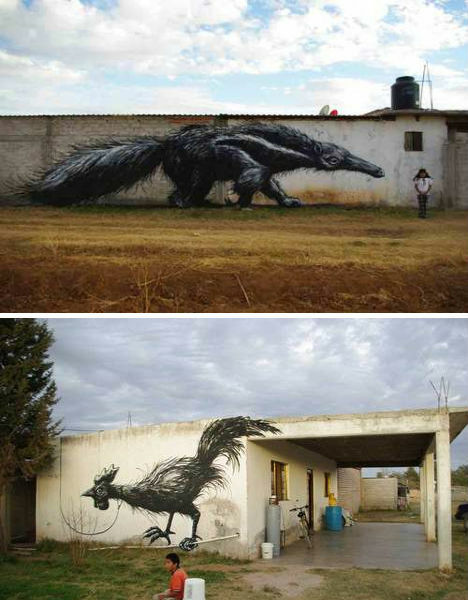 Armadillos, buzzards, anteaters and ragged fighting roosters stand ten or even twenty feet tall, rendered in stark monochromatic tones, lending a sense of wild nature to the streets. 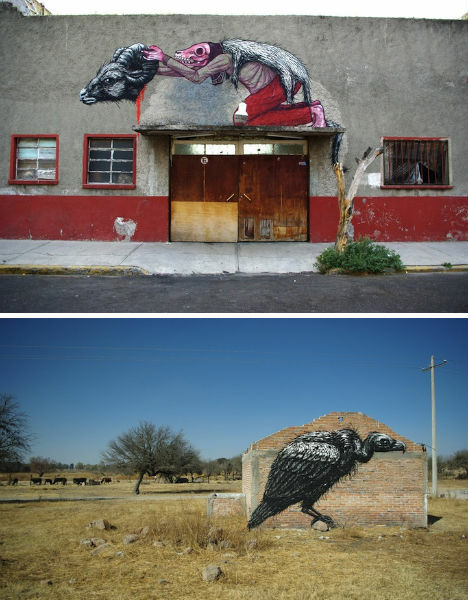 Belgian artist ROA brings the native fauna of Mexico to peeling painted concrete and brick in the nation’s capital city and in a rural area just to the north. 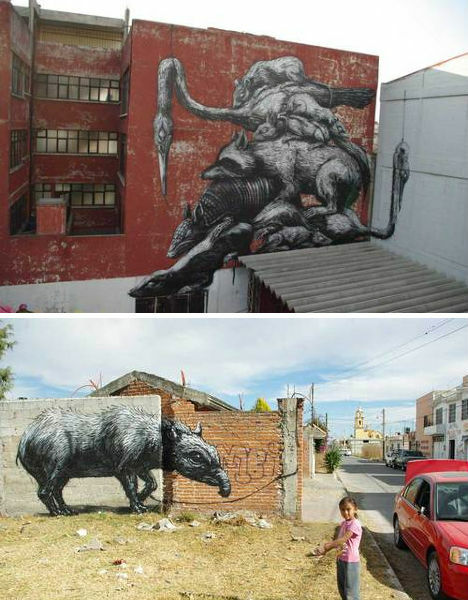 ROA is known for painting the dark, gritty side of nature – particularly animals that are not, to most, cute or lovable. 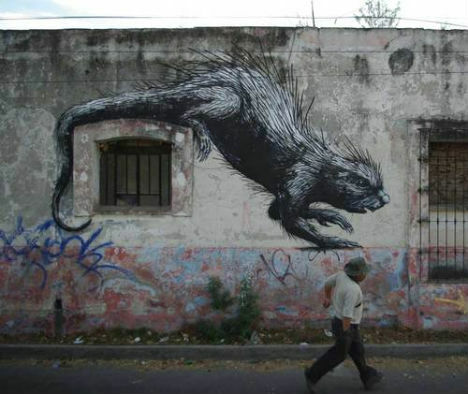 Whether portraying rats slinking across urban surfaces, bedraggled creatures that have seen better days or the blood and guts beneath a bunny’s soft fur, ROA clearly has a soft spot for the duality of the natural world and the rich variety of creatures it contains. “For me they tell so much more about this world then any other creature, but maybe in a year I’ll only paint landscapes…” he said in an interview with FatCap. 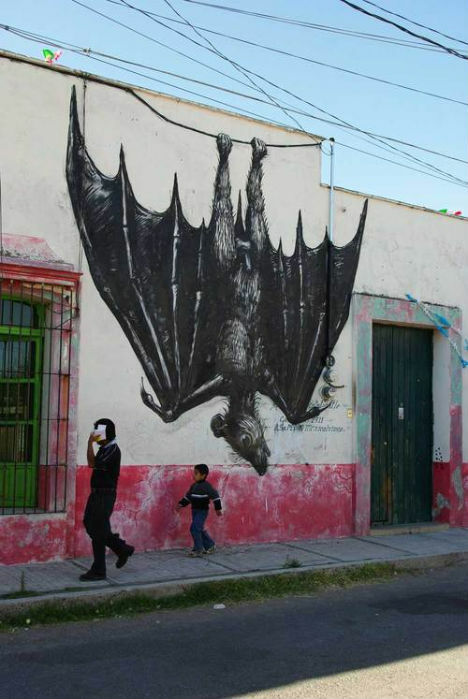 See more at ROA’s Flickr stream.